A marvel of high Victorian engineering and design, London's St. Pancras railway station opened in 1868. 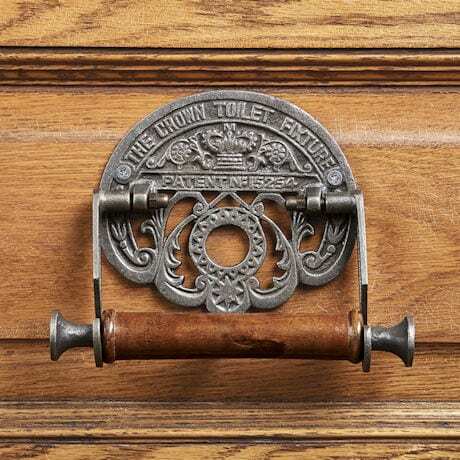 In 1883, the bathrooms were equipped with elegant cast iron and teakwood TP holders. 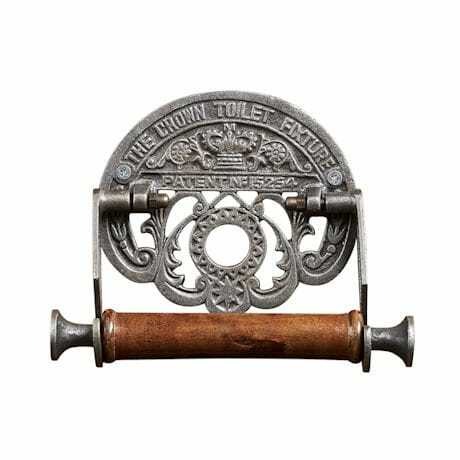 Made in India, this exacting reproduction comes with a pair of screws for installation. 6"w x 6"h.